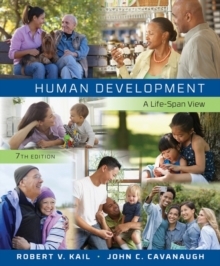 Balanced coverage of the entire life span is just one thing that distinguishes HUMAN DEVELOPMENT: A LIFE-SPAN VIEW, Seventh Edition. With its comprehensive, succinct, and applied coverage, the book has proven its ability to capture readers' interest while introducing them to the issues, forces, and outcomes that make us who we are. The material is relevant, too: Readers gain the foundations in important theories and research that enable them to become educated interpreters of developmental information. In addition, basic and applied research along with controversial topics and emergent trends demonstrate connections between the laboratory and life.